Vincent Willem van Gogh was a Dutch post-Impressionist painter whose work, notable for its rough beauty, emotional honesty and bold color, had a far-reaching influence on 20th-century art. He is considered by art lovers all over the world as one of the greats. He struggled with bouts of mental distress throughout his life, and died of a self-inflicted gun wound in 1890, when he was just 37 years old. Most of his paintings have been well documented and catalogued. In fact he sold only one painting while he was alive, though his work was just beginning to win acclaim. 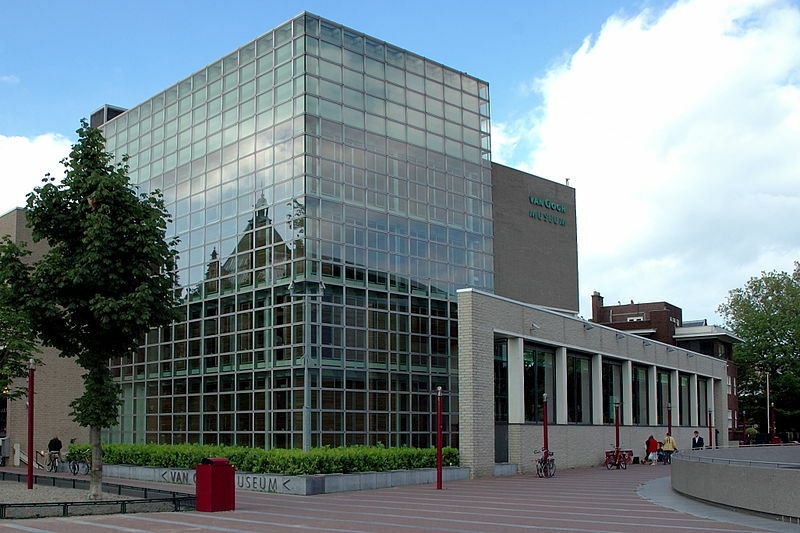 The Van Gogh Museum, which houses 140 of the Dutch master’s works, receives more than a million visitors annually, and Van Gogh paintings are among the most valuable in the world. 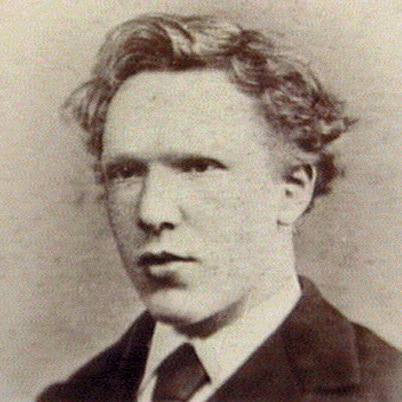 There is however one painting, which was listed among Theo van Gogh’s collection, as number 180, and was catalogued, that has been missing for last 100 years. There was never any doubt about existence of this painting as Van Gogh himself had described it in detail in a letter to his brother Theo. For the same reason, the painting could be dated exactly as Van Gogh had said in his letter that it was painted on the previous day or July 4, 1888. 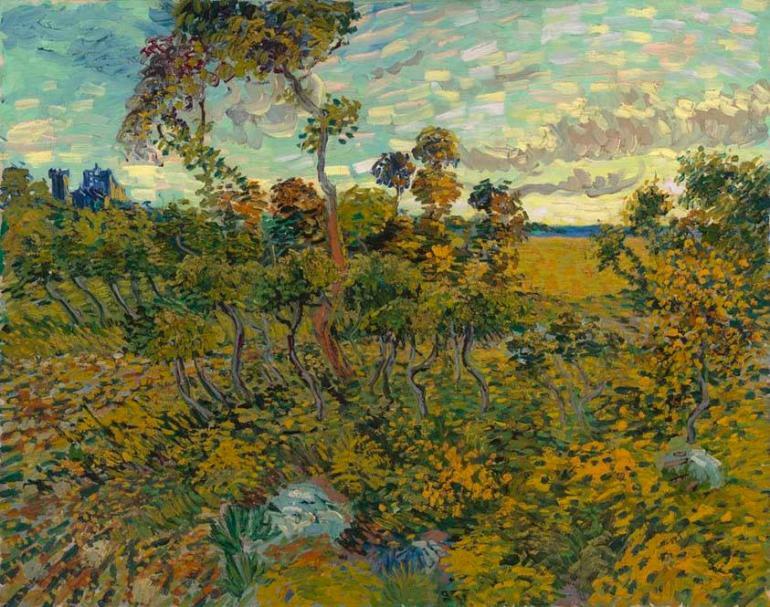 This long lost painting done by the painter, when he spent years in a Norwegian attic, is the first relatively large full size canvas (36.7 by 28.9 inches), by the Dutch master and is known as “Sunset at Montmajour.” It depicts trees, bushes and sky, painted with Van Gogh’s familiar thick brush strokes. The location it depicts can be identified. It is near Arles, France, where Van Gogh was living at the time, near Montmajour hill, and the ruins of an abbey of the same name. The ruins can be seen in the background of the work, on the left side. Van Gogh had also referred to this painting in two other letters in the same summer it was painted, but had said that he considered it a failure in several respects. Probably for this reason Willem Van Gogh had never signed it. As the painting was unsigned, when Theo van Gogh’s collection was sold in 1901, this painting was never attributed to the painter, even when it had the collection number 180 written at the back. In an ironical decision, Van Gogh museum had itself rejected the painting’s authenticity in the 1990s, in part because it was not signed. This painting now belongs to an unidentified private collector. The museum however has now rediscovered the painting and confirms that it is a genuine Van Gogh work. Researcher Teio Meedendorp from the Van Gogh museum, says that the new research techniques and a two-year investigation had convinced them that it is an original Van Gagh. He adds: “he and other researchers have found answers to all the key questions, which is remarkable for a painting that has been lost for more than 100 years.” Van Gogh museum does not disclose full details of how the painting had been recovered, but says that it had been owned by a Norwegian man who had been told it was not by Van Gogh, so he had put it in the attic. Art lovers and those who particularly love Van Gogh's style, can now see at the museum, something that was missing all these years.